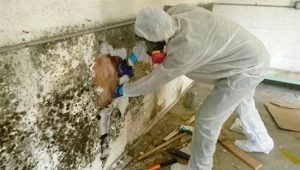 Remove mold in basement is not an easy job to handle because the problem usually is quite severe that it requires the professionals to take care of it. But it doesn’t mean the occupants don’t have any role in terms of taking care of their house. Mold is one of the most detrimental things to your health. If you allow it to grow, it could cause serious respiratory issues. 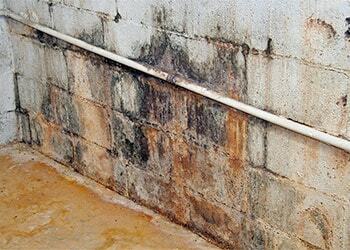 Unfortunately, your basement is one of the areas of your home that is susceptible to mold. At least, it is the occupants’ responsibility to identify the mold, locate the place and make the first call to manage the problem. It is important to take care of mold as soon as possible before it spreads and destroys other parts and interior. This article will help you combat the growth of the mold in your basement. 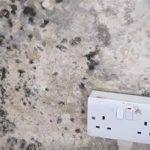 Mold is a fungus. It is a fungus that thrives in environments that are moist, warm, and humid. It is comfortable living both indoors and outdoors. Mold spreads by emitting tiny spores in the air. These spores float through the air until they land on a surface. If these surface are high in moisture, mold will start to grow. Mold spores can actually survive in areas where mold isn’t able to take shape. The spores can travel a long distance before it finds a suitable surface to remain. The resiliency of the spores makes it easier for it to spread. As the occupants, your responsibility is to identify the mold and prevent it in the first place. 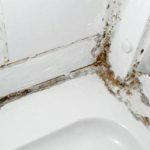 Basically, mold can grow anywhere inside the house wherever an abundance of moisture appears especially when it has happened for a long time. It can appear on the ceilings, floors, walls and even the interior. Basement in this case, is the most vulnerable area due to low air circulation. Basement is also the location of windowsills and shower walls which allow the mold to live. Identifying and removing mold is important because it can cause health risks like asthma, allergic reactions and other types of respiratory complication. 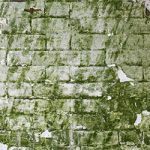 In general, there are different types of mold including black mold, white mold, blue mold and the green mold. Once you notice mold in the basement that mostly appears on the wall, your job shall begin. First of all, remove any affected items so you can access the location where the mold appears. If any interior has to be thrown away, do it. But if some furniture can be salvaged, keep it. Mold occurs on the area with extra humidity and moisture. In the basement, the mold often occurs on the wall that you may have to remove and replace it in order to get rid of the mold. While doing the work, make sure to assess the damage as well by assessing the wall condition and the severity of the condition due to the mold. You need to replace the wall if it has been compromised or covered with bluish or black splotches. 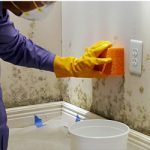 But if the wall is covered with mold yet is still structurally sound, it doesn’t need any replacement as the mold should be possible to remove using cleaner. 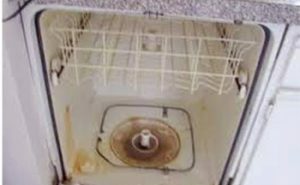 It is time to get rid of mold using water/bleach solution. Use rag or sponge to apply the solution on the affected areas. If you can get a hand into good commercial solutions, simply grab it and use the product. Now that the mold has gone after the cleaning, you need to use stain-blocking paint to prevent the mold from occurring again. Your job to remove mold in basement now has been completed. 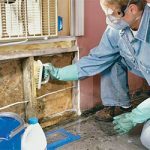 Related Posts of "Remove Mold in Basement DIY Projects"